It is in virtue of unity that beings are beings. Act is determined by the higher phase of the Soul. 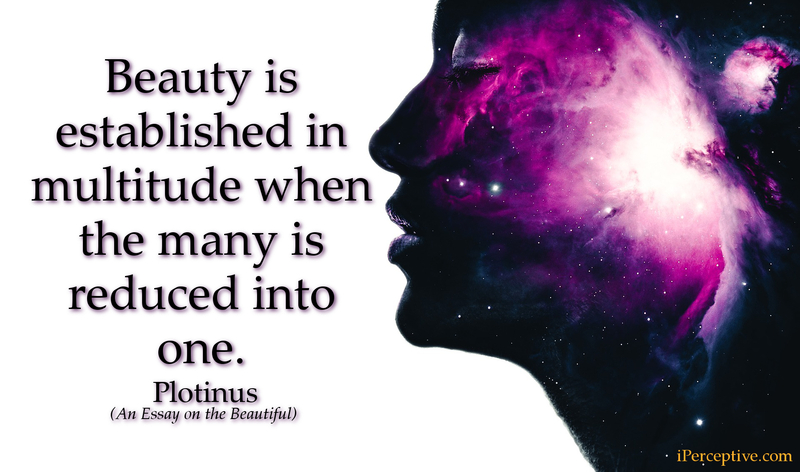 Beauty is established in multitude when the many is reduced into one. I am striving to give back the Divine in myself to the Divine in the All. What, then, must be the condition of that being, who beholds the beautiful itself? God is not in a certain place, but wherever anything is able to come into contact with him there he is present. Everyone therefore must become divine, and of godlike beauty, before he can gaze upon a god and the beautiful itself. There exists no single human being that does not either potentially or effectively possess this thing we hold to constitute happiness. At this there would be a Socrates as long as Socrates' soul remained in body; but Socrates ceases to exist, precisely on attainment of the highest. Perhaps, the good and the beautiful are the same, and must be investigated by one and the same process; and in like manner the base and the evil. 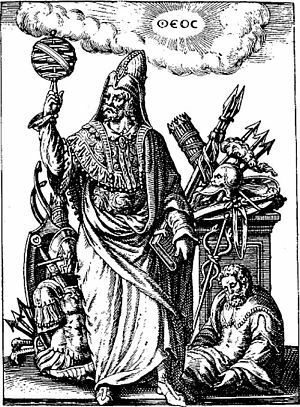 All things and events are foreshown and brought into being by causes; but the causation is of two Kinds; there are results originating from the Soul and results due to other causes, those of the environment. 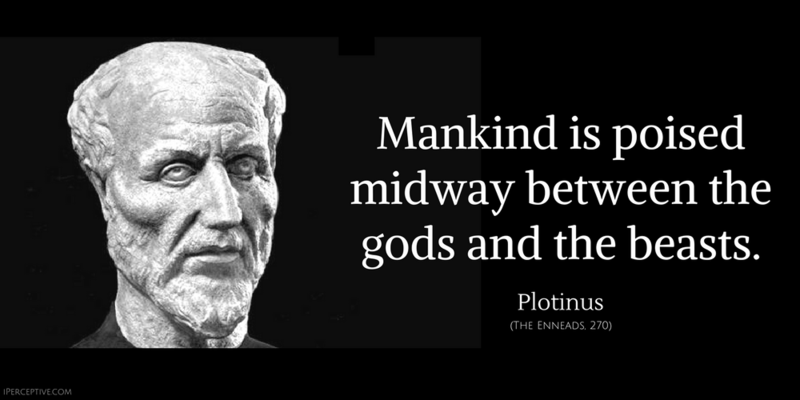 But humanity, in reality, is poised midway between gods and beasts, and inclines now to the one order, now to the other; some men grow like to the divine, others to the brute, the greater number stand neutral. But if Soul is sinless, how come the expiations? Here surely is a contradiction; on the one side the Soul is above all guilt; on the other, we hear of its sin, its purification, its expiation; it is doomed to the lower world, it passes from body to body. The soul in its nature loves God and longs to be at one with Him in the noble love of a daughter for a noble father; but coming to human birth and lured by the courtships of this sphere, she takes up with another love, a mortal, leaves her father and falls. Every living thing is a combination of soul and body-kind: the celestial sphere, therefore, if it is to be everlasting as an individual entity must be so in virtue either of both these constituents or of one of them, by the combination of soul and body or by soul only or by body only. 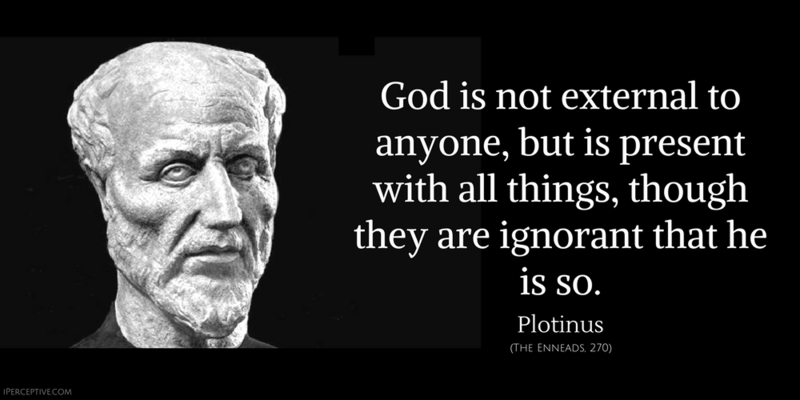 Plotinus was an ancient Greek philosopher. He is best known for being one of the first neoplatonists. 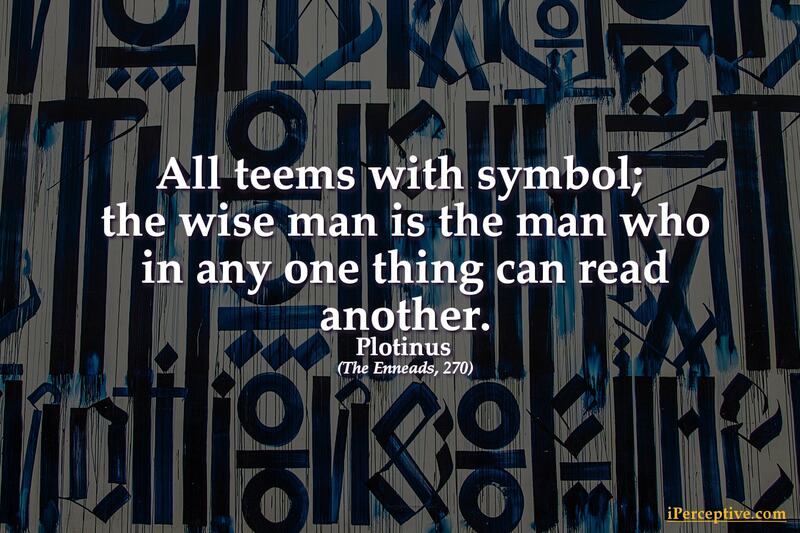 His philosophy has been highly influential in various philosophical traditions throughout history.